This function configures the two marquees that appear on the header part of the EMP. The content of Text box is the text that appear as marquee. The width refers to the length of the scroll path of the marquee. Enter the Text color and the Background color of the marquee. 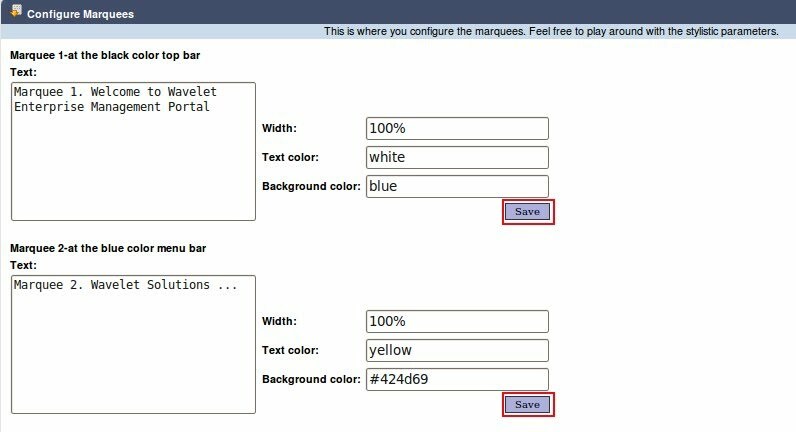 Remember to click 'Save' after configured each individual marquee. The marquees will appear as the figure below.